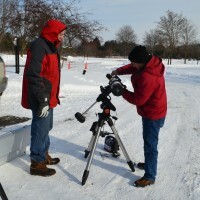 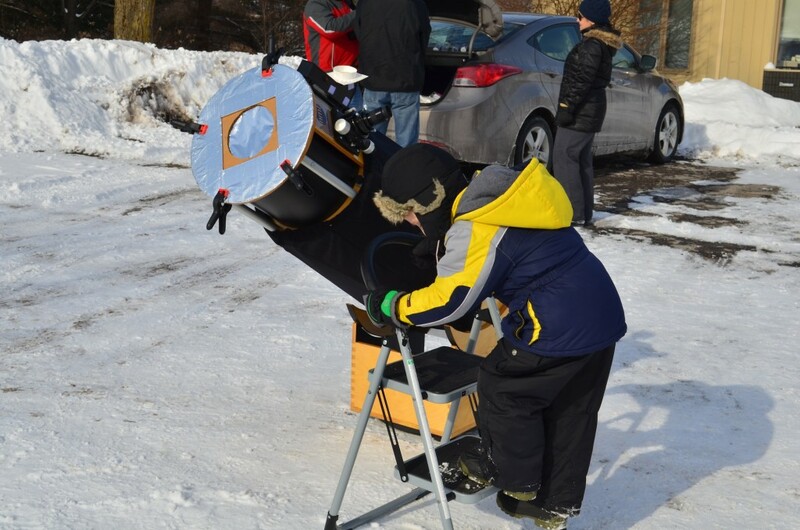 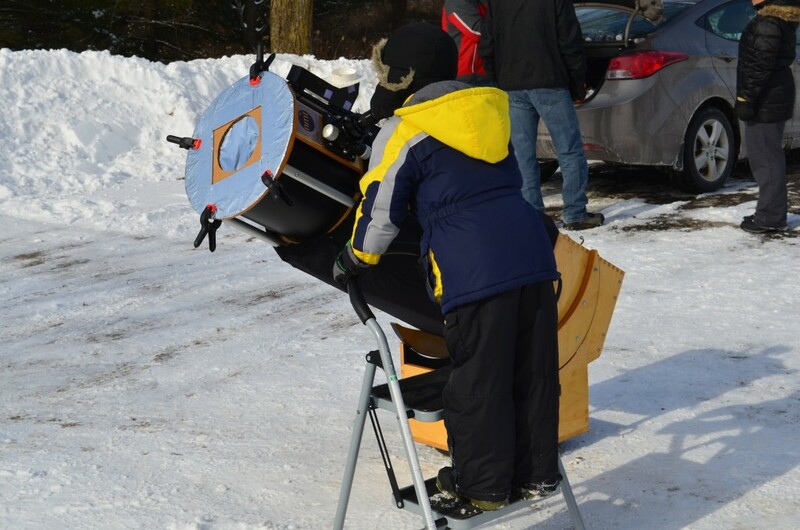 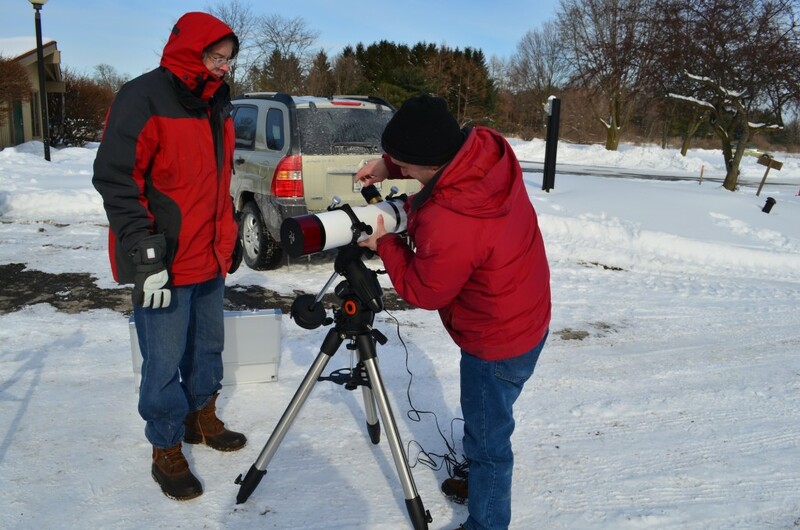 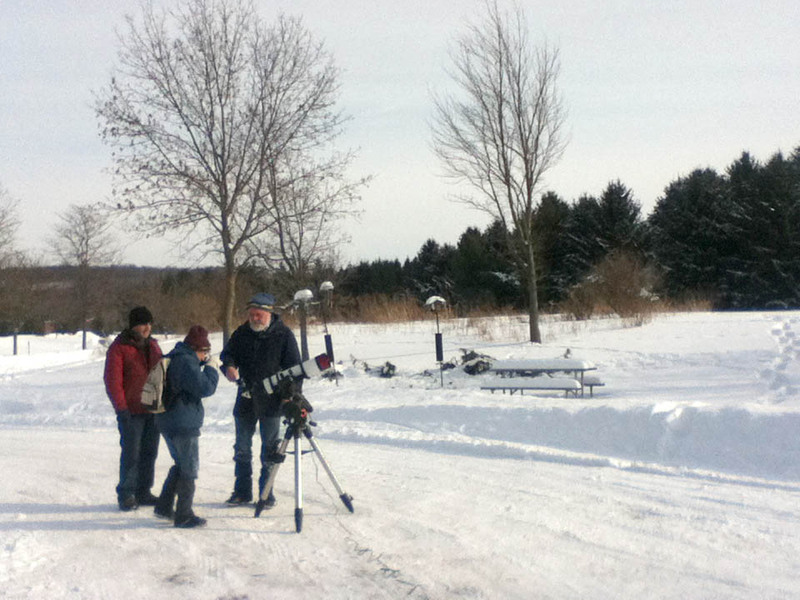 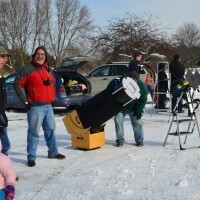 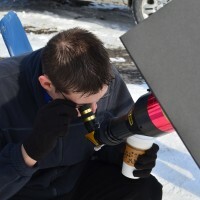 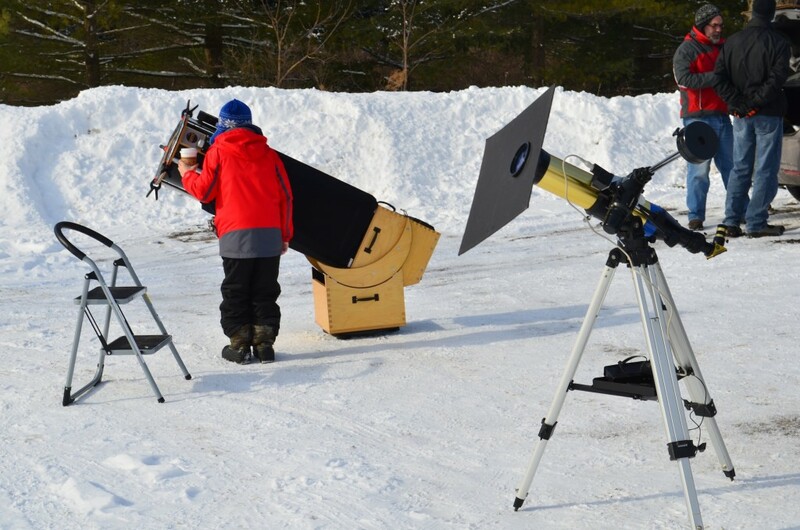 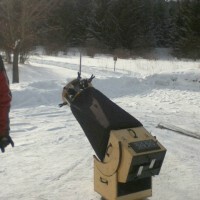 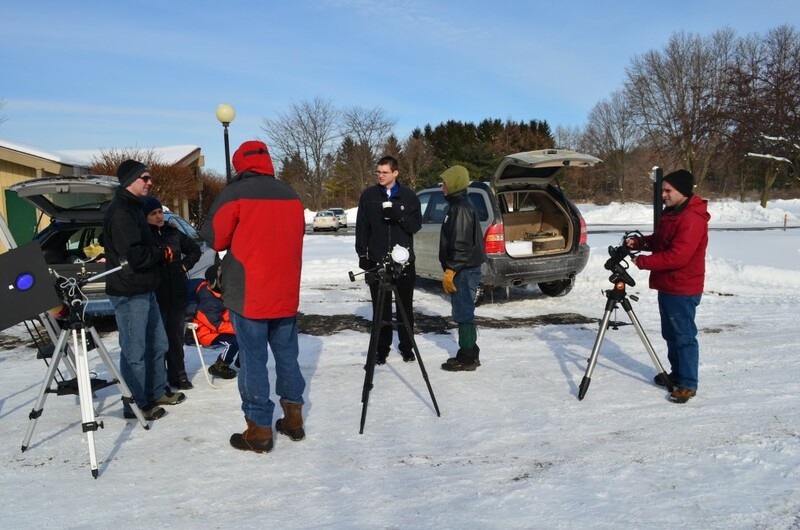 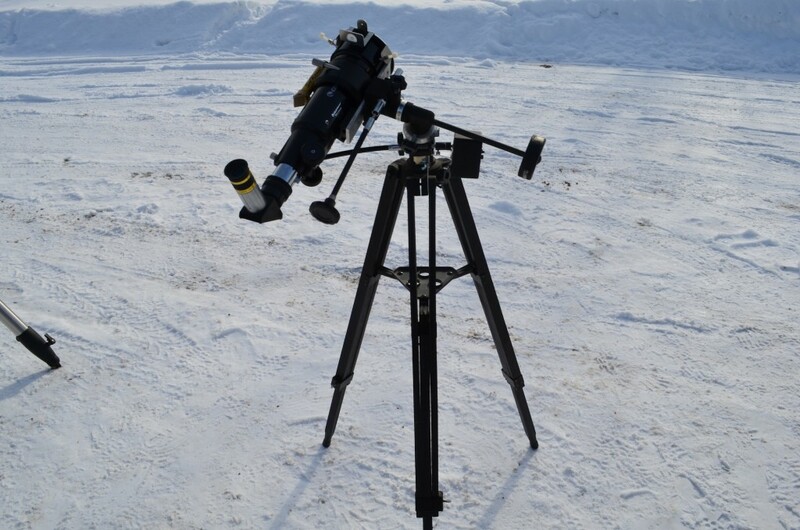 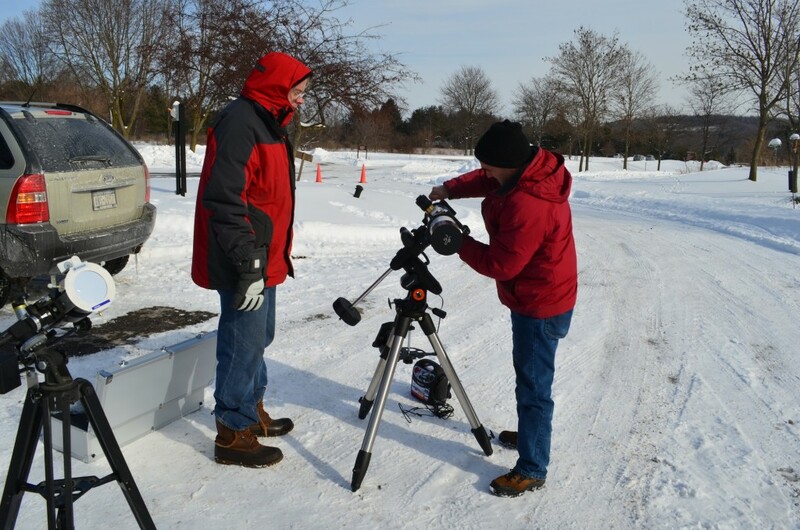 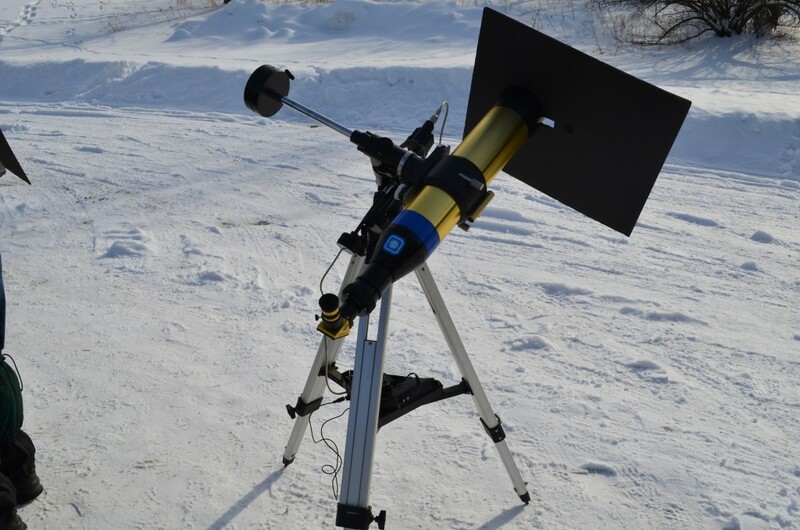 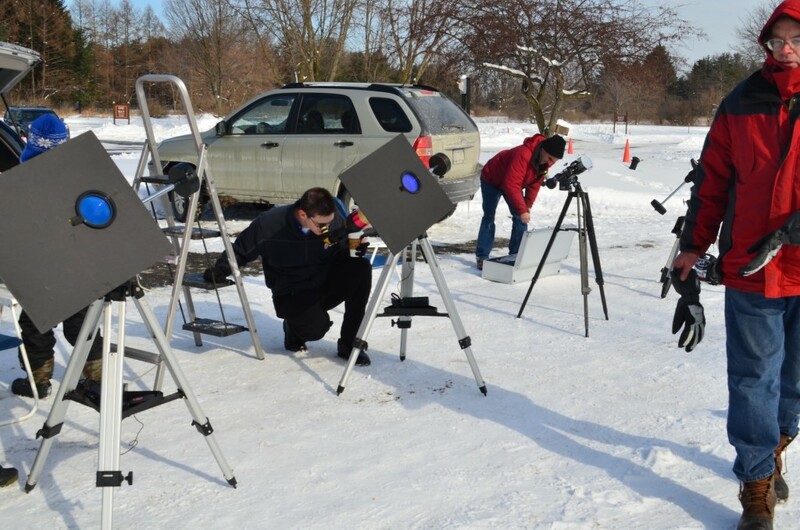 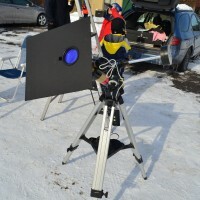 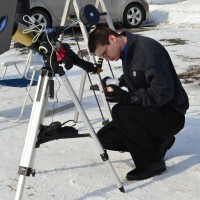 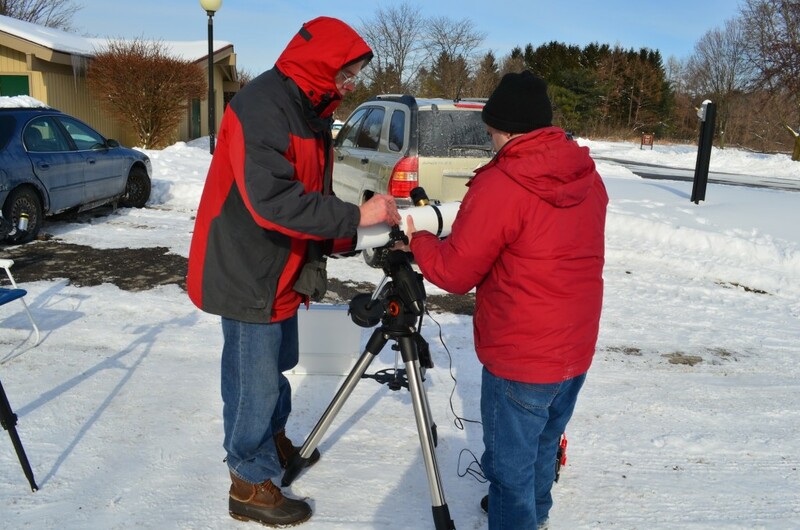 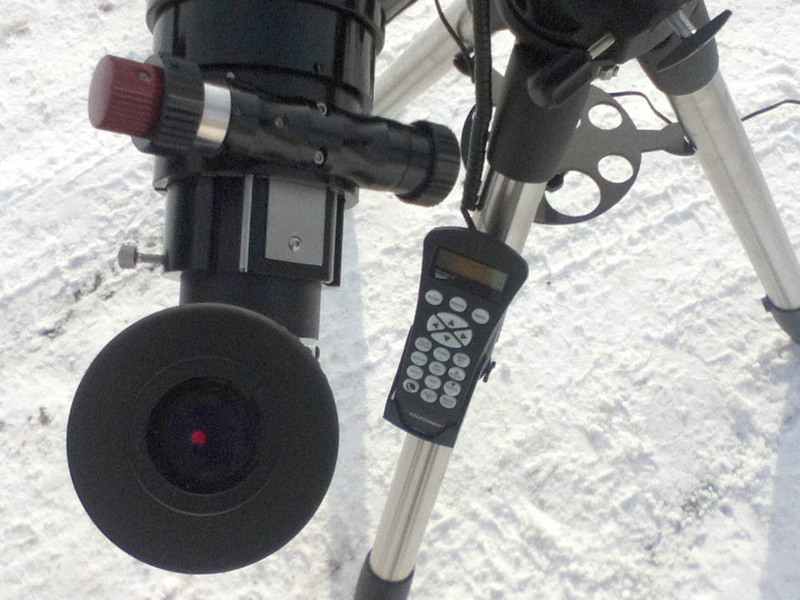 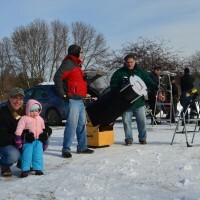 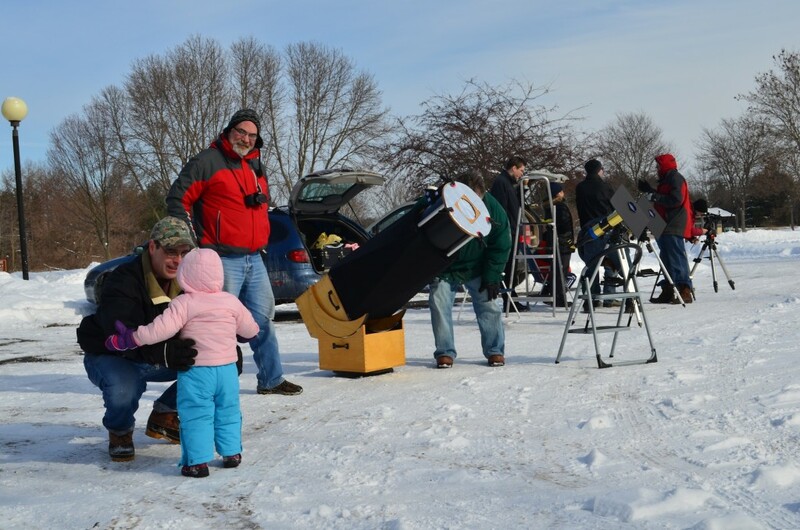 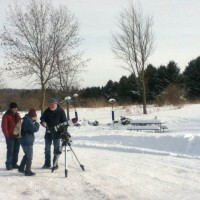 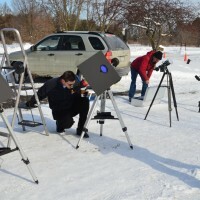 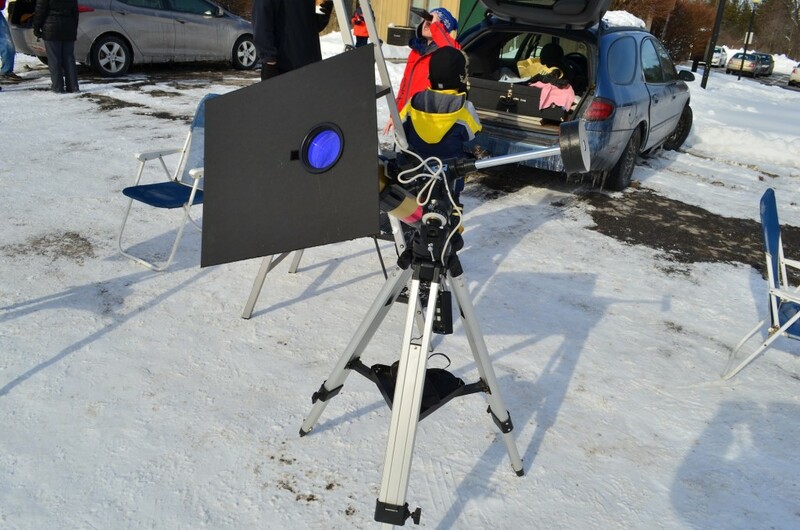 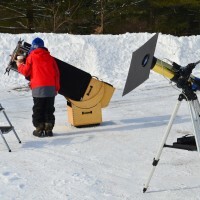 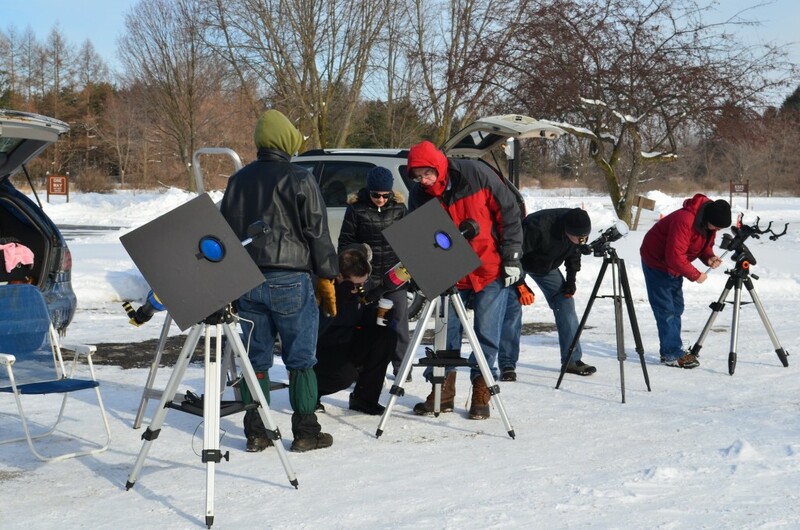 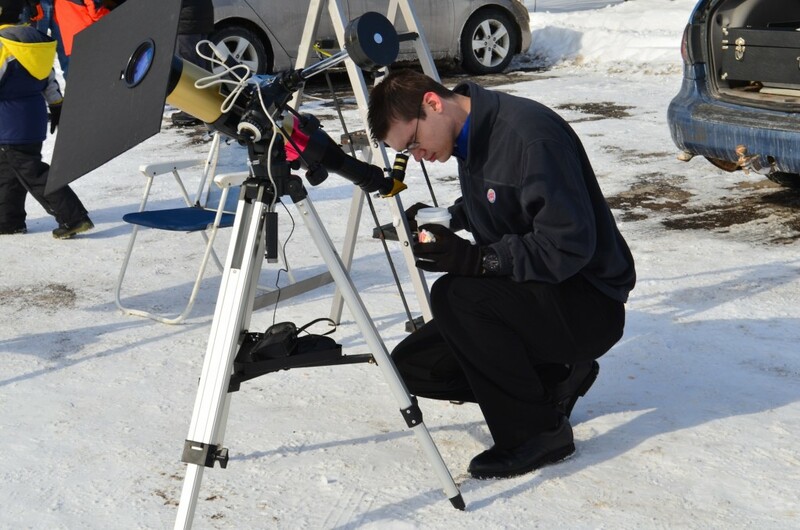 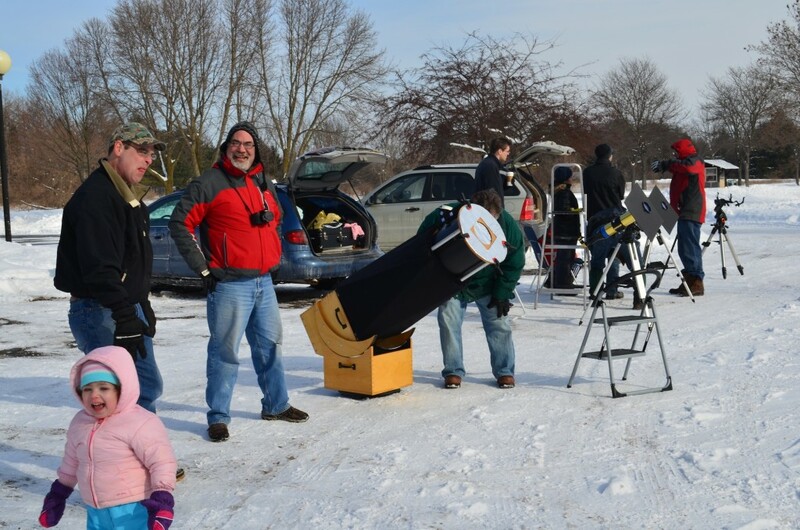 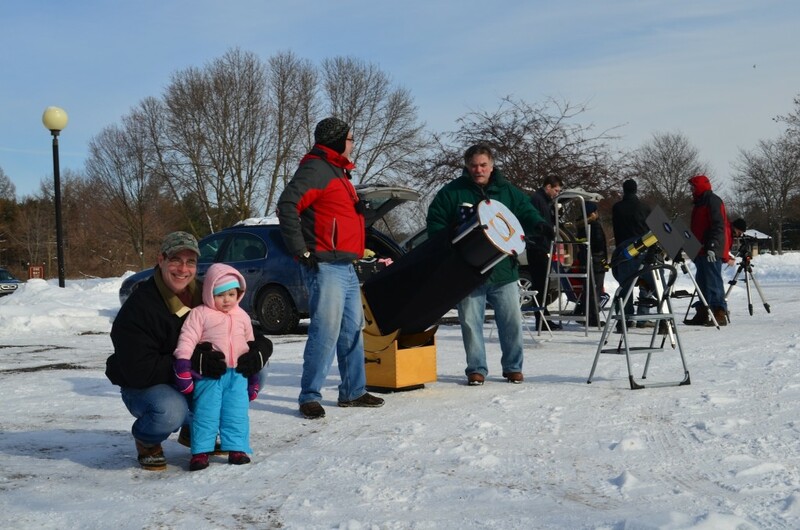 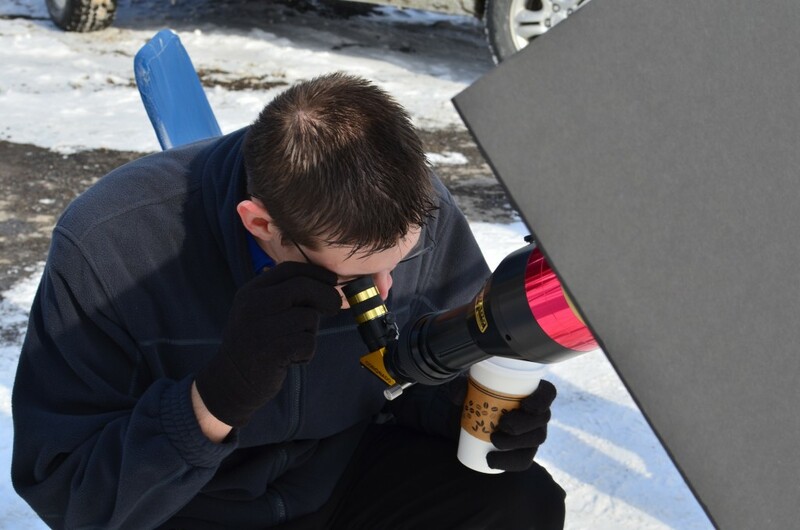 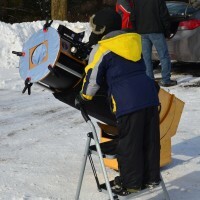 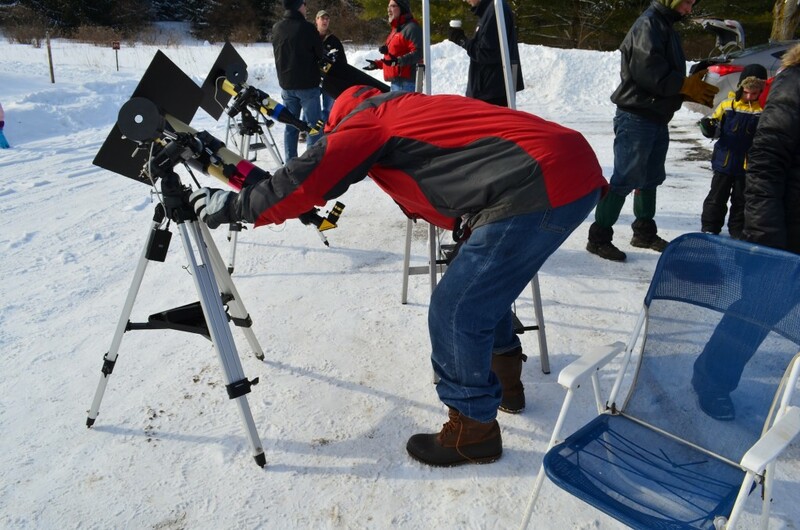 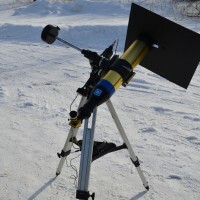 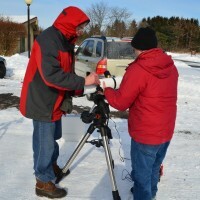 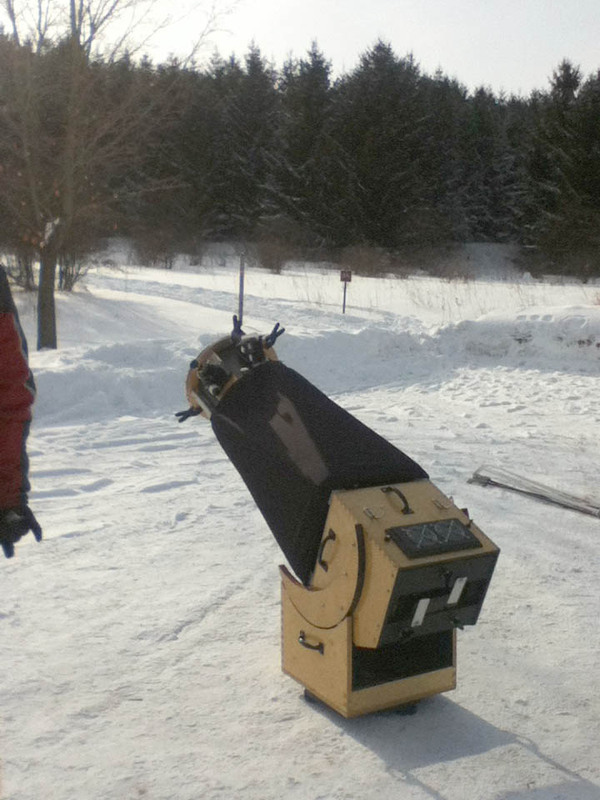 A decent-sized group of appropriately-dressed observers braved the mid-winter cold to attend a solar observing session at Green Lakes State Park this past Saturday, February 8th (approx. 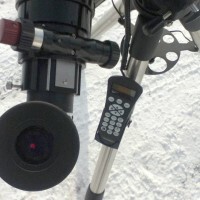 1 to 3 p.m.). 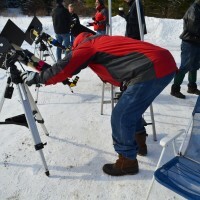 The event, organized by Baltimore Woods favorite Bob Piekiel, was wing-observered by Ryan Goodson, Larry Slosberg, and Steve Capp. 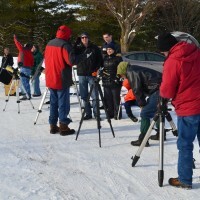 Observers were treated to a reasonably busy solar surface, with the massive sunspot 1967 and the small constellation of sunspots around 1968 just disappearing out of the field of view with the Sun’s rotation (and our revolution), then several smaller sunspots working their way across the Sun’s equator (that said, note the Earth size in the image below. 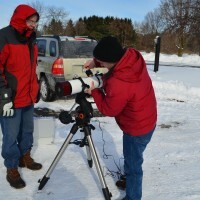 Sunspots 1973 and 1974 are large enough to swallow the Earth whole!). 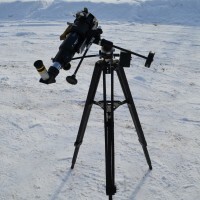 The Sun on 8 February 2014. 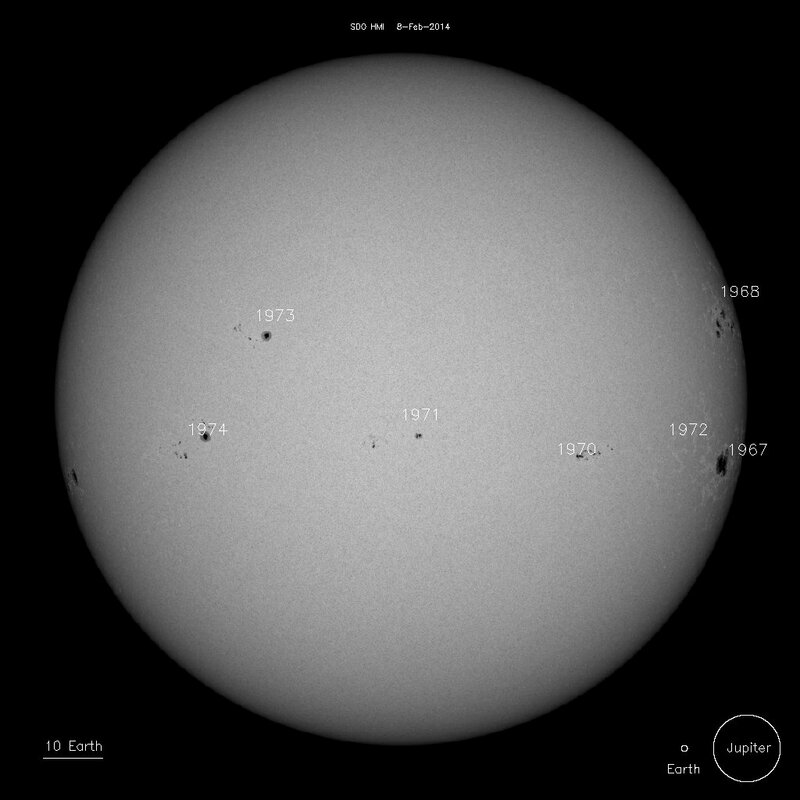 Image from NASA/SOHO. 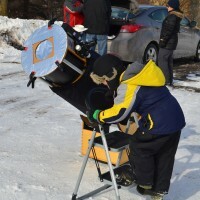 Below is a gallery of images from the event (our first attempt at a CNYO gallery. 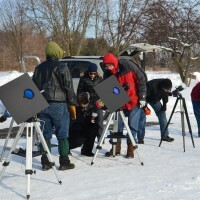 If you have issues loading images or just don’t like how it works on the site, please let us know) featuring photos by Ryan Goodson and Cindi Farrell. 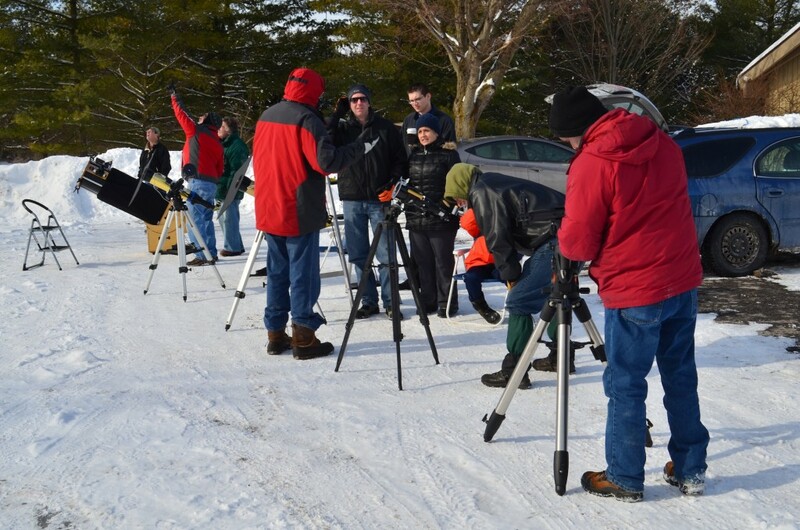 Another session is coming up from 1 to 3 p.m. on February 22 (with the 23rd as the weather alternate) at Baltimore Woods. 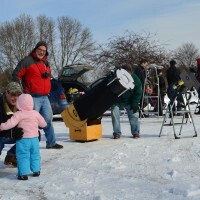 We hope you can join us for that one as well!